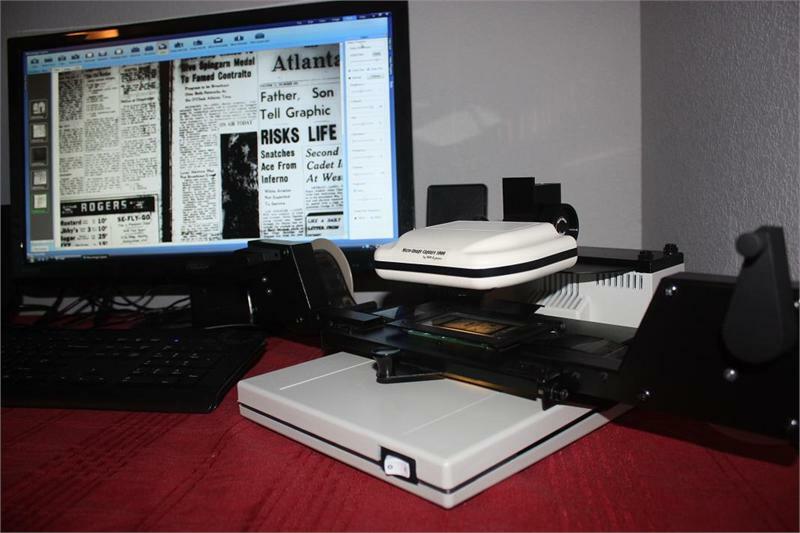 A low cost, high quality digital microfiche & microfilm scanner! 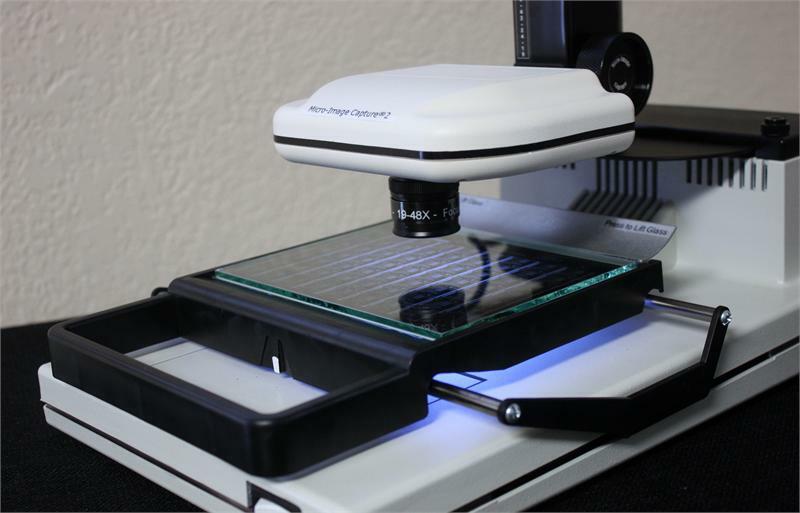 The Micro-Image Capture 2 is the latest in digital microform image capture technology featuring high resolution optics and electronics allowing for full-size quality viewing, printing and digital capture of microfilmed images. Completely portable, power & communication connect via one USB 2.0 port! Use with a PC workstation or with a laptop for a completely mobile microform capture solution. 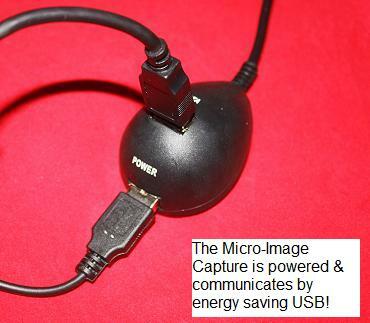 The Micro-Image Capture 2 uses the latest USB 2.0 technology for the fastest real time viewing available and is compatible with Windows XP on up to Windows 7 (including Vista 32 & 64bit) & MAC OS. The 19-48X optical zoom range lens is designed for the viewing and digital capture of 16mm microfiche and microfilm images that were originally legal or letter size documents. Engineering & large format 35mm images can be viewed and partially captured with the MIC2 (see additional pictures for view of 35mm newspaper onscreen using the MIC2 with snap on carrier), but if your images are wide format (Aperture Cards with engineering drawings and 35mm Roll Film), the Micro-Image Capture 5 or Micro-Image Capture 5M (motorized) which are equippeed with an optical zoom range of 7-48x are best equipped for full frame capture of large format images. Fast and easy adjustment of magnification and focus is achieved via precision high quality optics and mechanical camera stage. Capture software provides for many adjustments to image quality like contrast, brightness, and resolution as well as optical flip, rotate and invert (neg to pos). Send images instantly to your printer, e-mail or to a designated pc folder with one keystroke. Our exclusive multiple output functionality allows for printing, save as image file, e-mail, & ftp outputs that can be configured to activate simultaneously! Output image format types include PDF, TIFF, JPG, PNG, PSD, BMP, CAL, GIF, CAL, WPG and more. Our multiple capture options allow for full screen capture, frame capture area selection by mouse drag and multiple capture of selected areas on the same image that combine automatically on one page for print, save or e-mail output functions. 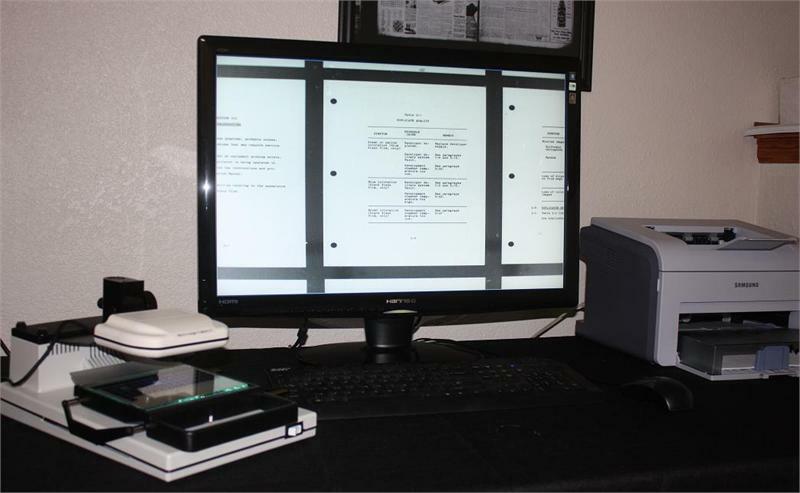 Software also allows for real time recording of microfilm viewing (genealogy & research presentations) and comes with an OCR function you can use post capture. The unit comes standard with a fiche carrier, but we offer an optional manual roll film attachment that is rugged and easy to add making the unit a universal, allowing for both fiche and roll film to be loaded. The Micro-Image Capture 2 comes with a 1 year repair or replace factory warranty while most other manufacturers (Canon, Minolta, Kodak, Eyecom, Alos and others) may only provide a 3 month standard factory warranty. 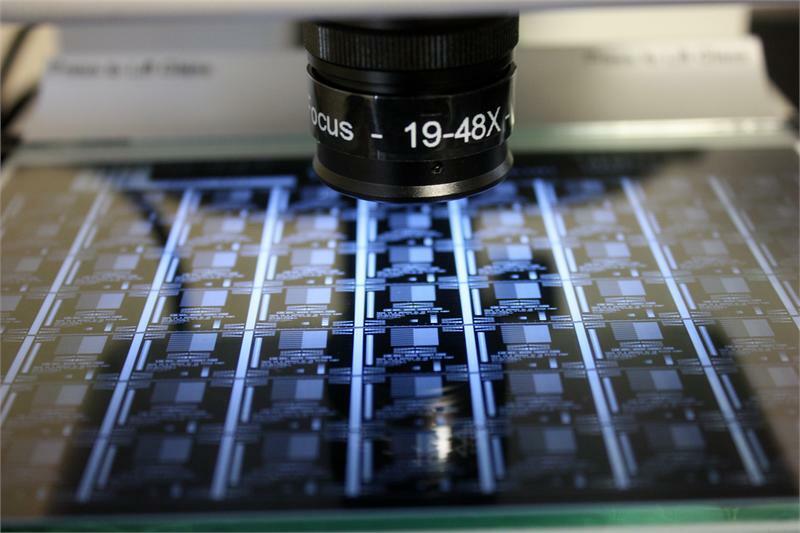 Micro-Image Capture tm products are designed and produced in the U.S.A (patent pending). The optics are high quality German made products, known for precision, reliability and longevity. CE, ROHS certified, USB powered for easy use anywhere in the world! 16-bit color LCD display monitor or higher capable of displaying microfilm image at original size (8.5 x 11" portrait or landscape). Connectivity - Image Capture Unit is powered by and communicates with PC via USB Port (6' cable provided), Illumination unit is a low power consumption illuminescent pad rated at 10,000 to 20,0000 on-hours of life and powered by USB Port. * There is a no return for credit policy on all manufactured upon order equipment including the Image Mouse and Micro-Image Capture products. The products can however be exchanged for other equipment offered by Microfilmworld.com. See terms and conditions on the website for full details.